HOUSTON (KTRK) -- Houston City Council is set to vote Wednesday on a 10-year, $1.5 billion airport concession deal that was judged behind closed doors, and it has sparked questions about the perceived coziness between the contract's winners and City Hall, an ABC-13 investigation has found. Some of the deals would allow a small group of well-connected power brokers to sell travelers passing through Bush Intercontinental and Hobby airports everything from bagels to barbecue to clothes to coffee with the potential of millions of dollars of profit for the winning bidders. Critics have suggested more transparency is needed for such a giant deal. Airport contract deal too secretive? "It should be transparent," said Jim Noteware, a former cabinet member for Mayor Annise Parker and now a frequent Houston Business Journal contributor who writes about the city of Houston. "Every step of the process should be transparent so that any interested citizen theoretically should have access to all the invitations, to all the qualifications of the prospective bidders, the scoring mechanism and who the evaluators are that provide the scoring." The process of choosing the concessionaires has largely been hidden from public view. The bids submitted for the contracts were judged by a committee of Houston Airport System employees who came up with a group score to pick the winners. Neither the names nor the resumes of the judges have been made public. A spokeswoman for the mayor told ABC-13 that the names of the judges were hand-delivered to City Council members Friday and will only be released to the public after the vote. The winners were mostly big, national companies that partnered with well-connected local firms. Among the local winners are a Houston Port Commissioner, a Houston First board member and numerous lobbyists, including lobbyist Cindy Clifford, who had her birthday party at the mayor's Montrose home two days before the bids were due. At the party, at least three City Council members who will have to cast their votes hobnobbed with Clifford at the party she threw for herself on her own dime at the mayor's house. One of the guests: World Duty Free CEO Padraig Drennan, who, along with Clifford, secured a lucrative airport retail contract that is now before City Council. In reporting on the party, CultureMap described Drennan as a Clifford "friend" who "flew in from Washington D.C. as a surprise." While the bids were being judged, Clifford served on the host committee for a series of fundraising events over the past six weeks for four City Council members -- Jerry Davis, Larry Green, Robert Gallegos and Jack Christie. A fifth fundraiser -- for City Councilman Michael Kubosh -- in which Clifford's team is a host is scheduled for Wednesday, just hours after City Council is scheduled to vote on the deal that could steer a half-a-billion-dollars to her team. Clifford told ABC-13 she is an organizer but is not making any campaign contributions that night. Clifford also paid for a Kubosh's birthday dinner last month in Las Vegas. Kubosh said he didn't talk politics with Clifford during dinner and told ABC-13, "I am not worried about it, I am not for sale." Two losing bidders have formally challenged the process, raising concerns about a rushed timeline and an unreasonably secretive process. No decision has been made on those challenges. An anonymous allegation of bribery in awarding the contract is being investigated. "While the anonymous allegation does not appear credible, it has been referred to the Houston Police Department for investigation," Houston Airport System Director Mario Diaz said in a February 23 memo to City Council members. Through her spokeswoman, the mayor declined comment for this story, although she called the process "the smoothest one I've ever seen," at a press conference earlier this month. Clifford also declined comment, but said she did nothing unethical in her lead-up to her team -- called the Houston 8 -- winning the contracts. She said her team already does business at the airport and is best for the job. 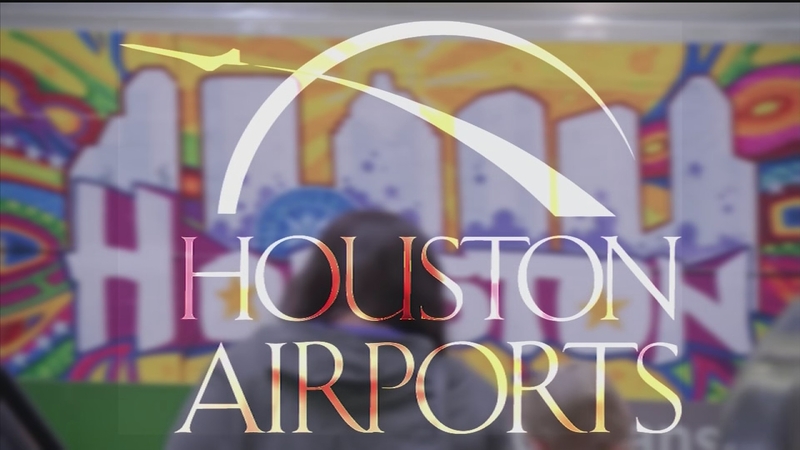 "For the past 12 years, the Houston 8 Team has been an airport concessionaire at Houston Intercontinental Airport. Our award-winning customer service, outstanding brands and ability to be competitive in the marketplace have made us successful. We fully believe that we were selected on this new bid because of our track record, experience, critically-acclaimed national partners and our local, regional and national concepts." And certainly, Clifford is not alone in raising money recently for City Council members. Other lobbyists for firms bidding on airport deals were hosts for City Council members, too. Airport director Diaz also said in his February 23 memo that "no impropriety or undue pressure" took place. "I found no such concerns," Diaz wrote. But Noteware said that even if nothing out of the ordinary took place, the appearance of a conflict of interest should be avoided -- particularly at informal hobnobbing events such as Clifford's party at Parker's home. "What about the competitors who were not invited? How do they look at it?," Noteware said. "Who was on the invitation list? Who met whom? I would just ask why it occurred. I would think anyone involved would want to steer clear. "Understand that transparency is very, very important," he said. In the case of the birthday party, "A prospective bidder had access to decision makers in an informal environment where another didn't," Noteware said. Some City Council members also have questions about the transparency in awarding the contract. "It shouldn't be in secret," City Councilwoman Brenda Stardig told ABC-13. "It should be open, transparent and available to the public for review. I'm not real confident in the rules structure right now. We still have questions." The process has another unlikely critic. Annise Parker -- from 2002 when she was a member of City Council. The profitable airport contracts have always been a high-stakes, heavily debated affair, often labeled "food fights" in local media. When the contracts last came up in 2002, they spurred similar allegations of bribery, conflicts of interest and cronyism. But in 2002, then-Councilwoman Annise Parker was critical of how the deal went down. "That's not how the process works for our form of government," she said in a September 15, 2002 Houston Business Journal report. "When you try to keep it quiet and deal in private, it creates an information vacuum," Parker said. "And all sorts of rumors rush in to fill the vacuum." Parker in 2015 has a different take. "We think we have a really bulletproof process," she said earlier this month.